Spend your holidays in a beautiful 2 bedroom designer suite in a great villa surrounded by jungle and rice fields. 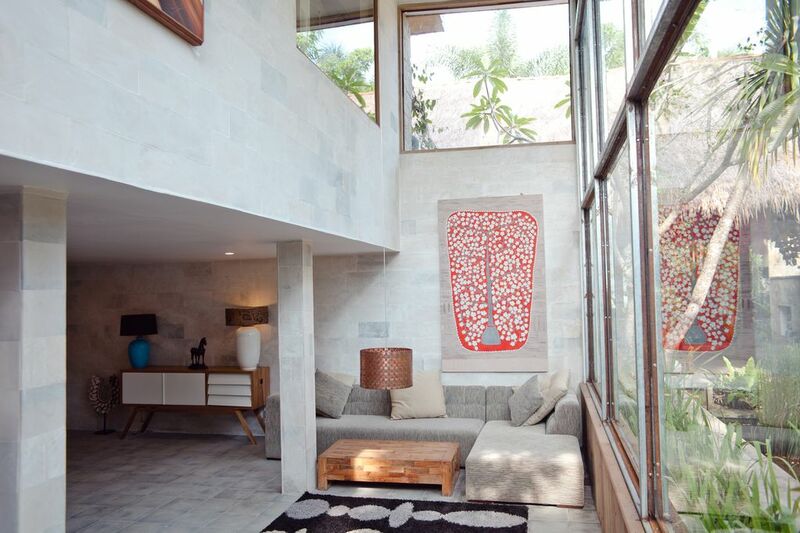 This great villa was especially designed for the need of our long stay guests, to have time and comfort to discover Ubud and this beautiful Island! The villa is a part of a big luxury estate located 2,5km close to Royal Palace Ubud but far enough away from noise, pollution and any traffic. Enjoy the design, spa, food, tours and nature at our estate! Enjoy a brand new open plan kitchen with stunning views to rice paddies and jungle. Have a choice to wake up with the sunrise at the east bedroom or enjoy a long sleep at the hidden west bedroom. We can arrange breakfast for 3 usd per person. The food was great and the room was beautiful. The location is a little ways way from everything but they are super accommodating with free transport to downtown.